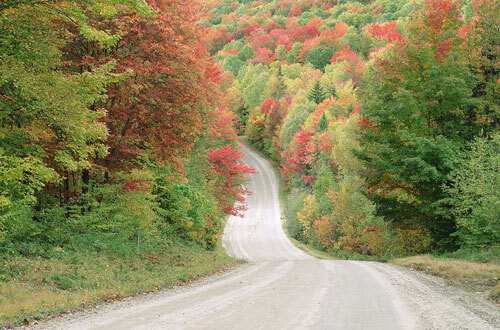 Located in northern New England, Vermont covers more than 9,000 square miles and straddles the Green Mountains. The capital of this scenic state is Montpelier; other notable cities include Burlington and Rutland. Montpelier is located in north-central Vermont and is the least populated state capital in the United States. Its setting among the foothills just east of the Green Mountains allows for plenty of recreational opportunities. The Vermont College of Fine Arts brings some cultural amenities to the area. Montpelier's economy is based on government, service, and retail industries, with other job opportunities existing in the higher education and insurance fields. The cost of living is high in relation to salary and Montpelier experiences long, cold winters. Burlington is Vermont's largest city, located in the northwestern part of the state along the east shore of Lake Champlain. It has a college town atmosphere with the presence of the University of Vermont and two smaller colleges. Burlington has plenty of entertainment, culture, and outdoor recreation opportunities with its proximity to Lake Champlain, the Adirondacks, and the Green Mountains. The local economy is supported by small businesses, tourism, and financial services. The negatives include harsh winters and a relatively high cost of living. Located in central Vermont, Rutland is the state's second largest city and contains a historic downtown core. It has a few cultural amenities and a 275 acre park offering outdoor recreation such as hiking and biking. The local economy is based on agriculture, tourism, and small manufacturing businesses. Rutland has a metro-area bus system, and Amtrak rail provides daily service to and from New York City. Cost of living is high compared to salaries, and parts of the city have an old industrial feel. On this page you will find Vermont real estate listing services as well as selected realtors and real estate agencies in the State of Vermont. For your convenience, this page also provides access to Vermont real estate directories and realtor resources. A list of housing finance resources for the State of Vermont can be found on this Vermont Housing Finance Agencies web page. Whether you're buying or selling a house in Vermont, this wealth of information can help you with this important transaction. Find homes for sale, apartments for rent, mortgage information, and real estate agents in Vermont. Real estate listings can be filtered by price, home type, and number of bedrooms. Find homes for sale in Vermont using a map or drop down menu. Full service real estate firm with offices in Central Vermont. Burlington-based Realtor with offices in Northwestern and Central Vermont. Vermont custom home builder directory, including location and contact information as well as website links. Vermont manufactured home supplier directory, including location and contact information plus website links. NVBR provides services to real estate professionals plus listings information about a wide range of northwestern Vermont properties. VT Real Estate Appraisers - real estate appraisal services in Vermont. VT Real Estate Investments - real estate investing services in Vermont. Vermont Information - Vermont atlas and travel guide. Vermont Maps - Vermont geography and infrastructure.